Come visit…the largest woodcraft project showroom in the country! It’s jam-packed with many wonderful wood projects made from our very own woodworking plans and full-size woodcraft patterns. You'll truly get inspired when you view these great Winfield Collection and Scroller woodworking projects up close and personal. Of course, any of our wood plans and supplies shown on our website or in our woodcrafting catalog can be purchased during your visit. 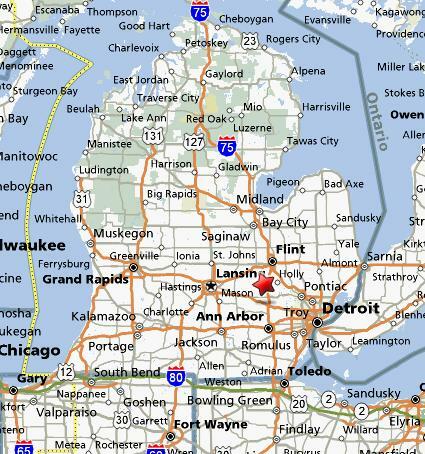 Our address is 8350 Silver Lake Road, Linden, Michigan 48451. 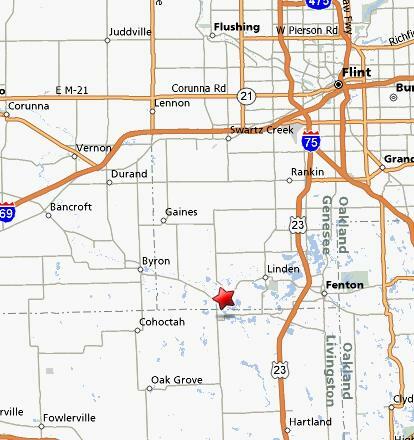 We're located just 40 minutes north of Ann Arbor, 15 minutes south of Flint, just 6 miles west of US 23 near Argentine, Michigan. Locate us from the two maps below or click on either one of them to view our location on MapQuest.com and get driving directions.